Sample dishes of Novasina water activity meters (100/box). 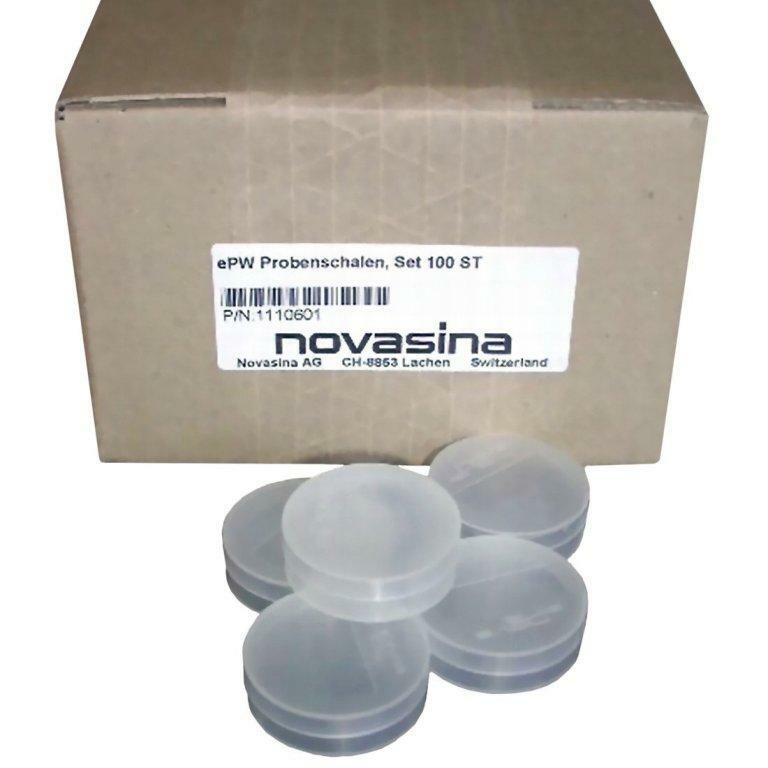 ePW sample dishes for the Novasina line of water activity meters (100 pack / 5x20) in 5 dispenser packs with holder. For an enBSK measurement chamber. Packet of 100 sample dishes for the sample sensor enBSK-3. These are disposal, intended for a single use with any Novasina aw instrument.